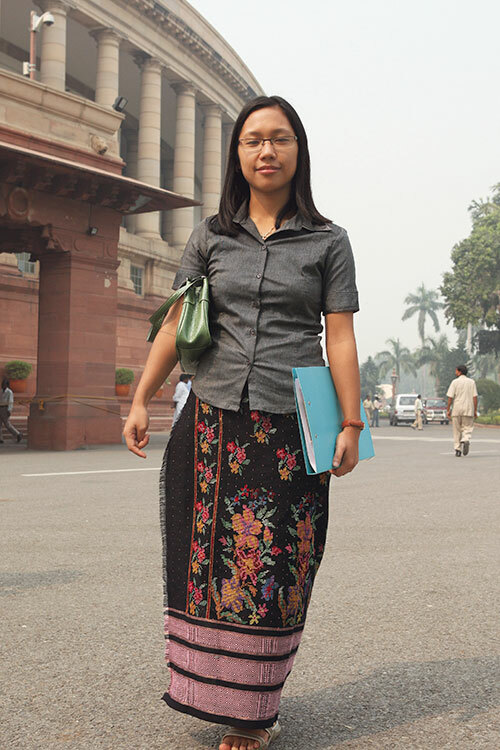 At 28, Agatha Sangma is the youngest minister in the 15th Lok Sabha, but youth is no drawback for the latest representative of Tura constituency, Meghalaya. Unlike many of her seniors in the House, the diminutive, bespectacled Agatha has a degree in Law, a degree in Environment Management from Nottingham University, UK, and enviable political genes. Daughter of one of Parliament’s most popular Speakers, P.A. Sangma, Agatha is proud to be her father’s daughter, even as she hopes to create her own space. To begin with, she would like to see more women achieving financial independence. As the product of a matriarchal society, she is perhaps the most apt parliamentarian to gather support in the House to push through gender-sensitive legislation. Then, having grown up in the rain-soaked Garo Hills, and witnessed some of the natural beauty of her state being destroyed by ‘development.’ protecting the environment also features prominently in her agenda. That she is to politics born was evident when she made her respectful namaste to Manmohan Singh and Sonia Gandhi at her swearing-in ceremony. With that gesture, she brought to an end the animosity between the Congress and the NCP, the party that was founded by her father and others in protest against Ms. Gandhi’s foreign origin. When Gandhi responded with an indulgent smile, onlookers hoped it was the dawn of an era in politics, when the interests of the nation would override petty differences. Here’s looking at you, Minister.